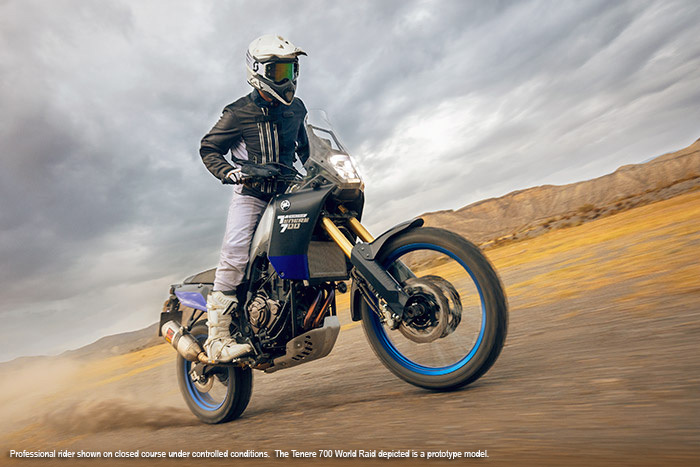 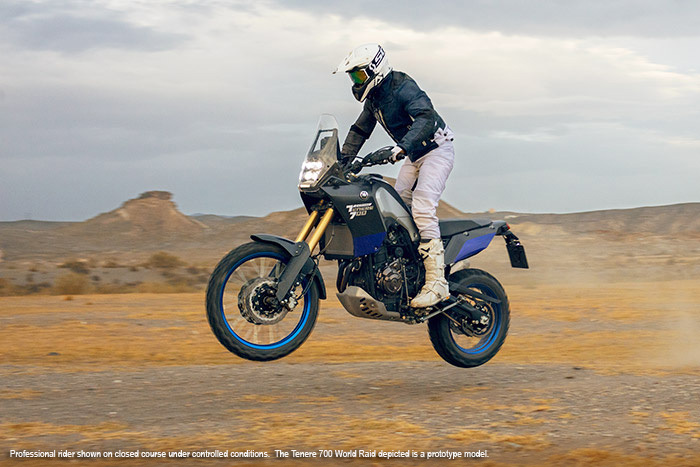 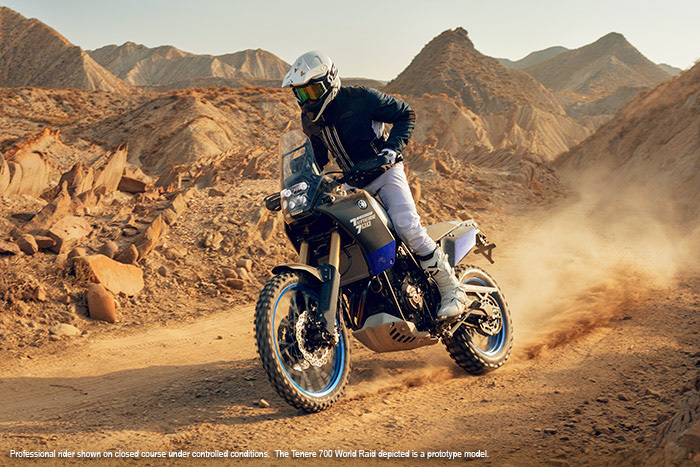 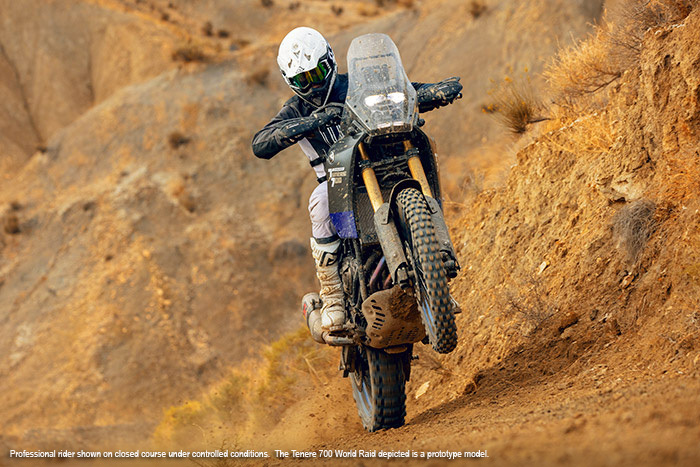 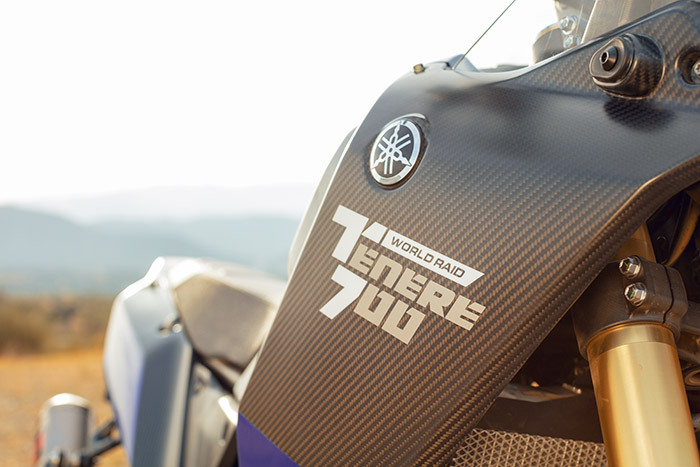 Inspired by the remarkable levels of worldwide interest generated by the T7 concept presented in 2016, Yamaha has created Ténéré 700 World Raid, a prototype model which is being used to develop the final specification of the production model. 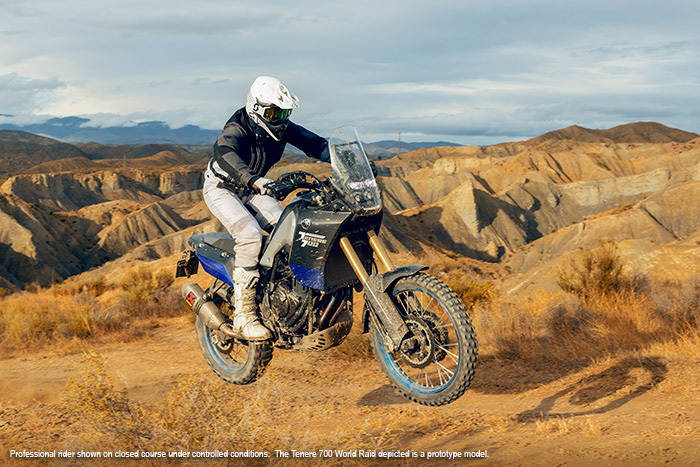 In contrast to many models available today from other brands, the Ténéré 700 World Raid's low weight and slim chassis give excellent off road performance for more extreme riding in a wide variety of terrain – and its compact 689cc CP2 engine delivers a wide band of tractable and easy to use power that make it ideal for on and off road adventure riding. 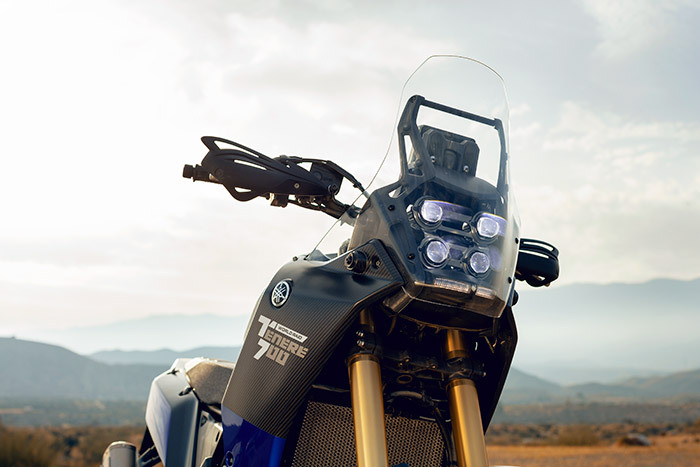 At the very heart of the Ténéré 700 World Raid prototype is the same highly acclaimed 689cc 2-cylinder crossplane concept engine that has been used in the popular MT-07. 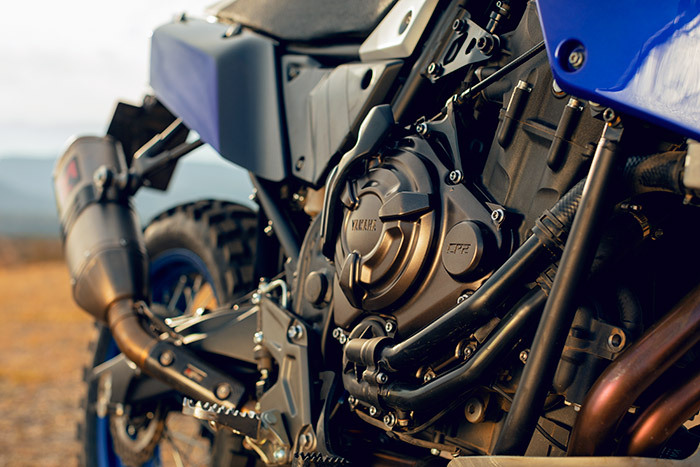 With its compact design and linear torque delivery, this specially developed version of our highly acclaimed CP2 engine gives plenty of power for strong performance on the tarmac and dirt, while its mass-centralized layout and low weight contributes to the bike's agile handling characteristics. 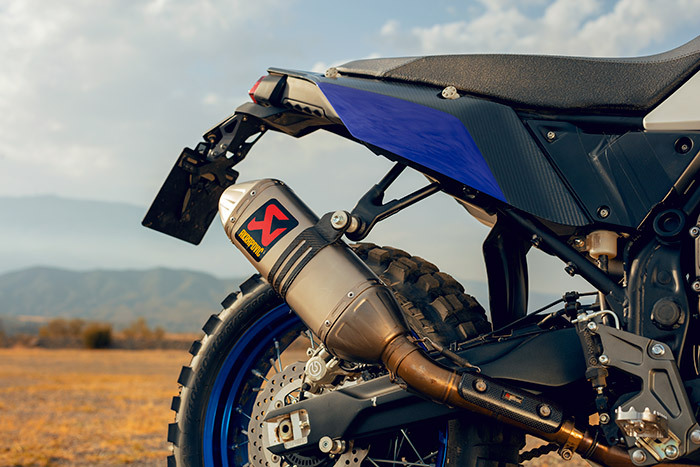 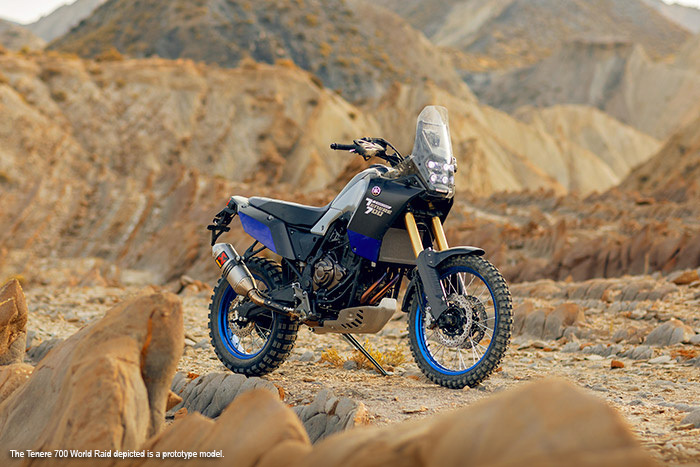 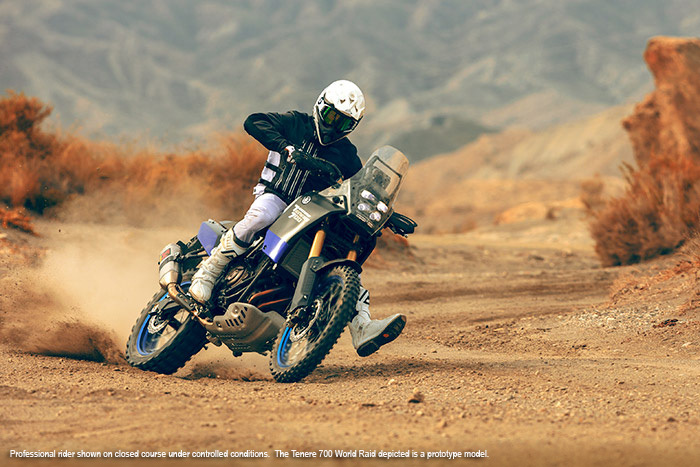 The prototype also features a custom-made rally-style Akrapovič exhaust that reinforces the bike's rugged looks and delivers a deep and powerful tone. 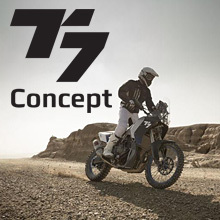 out the T7 Concept page. 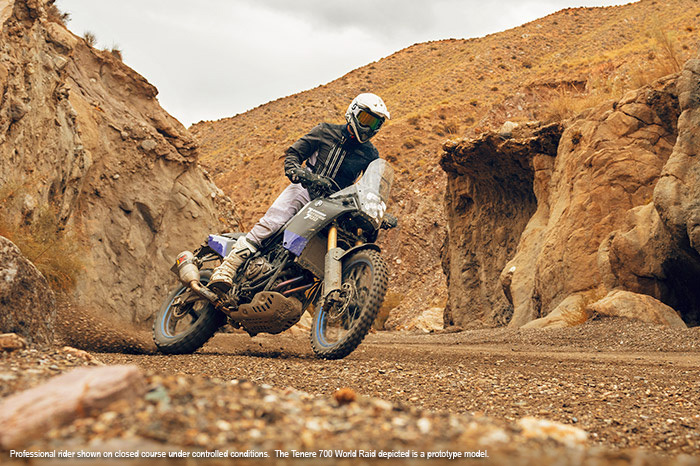 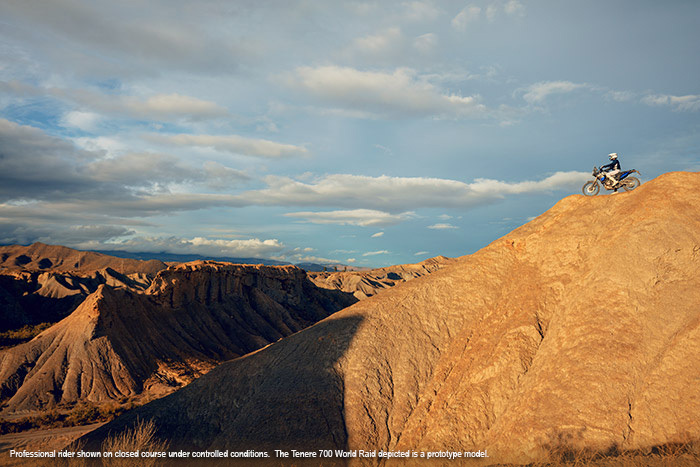 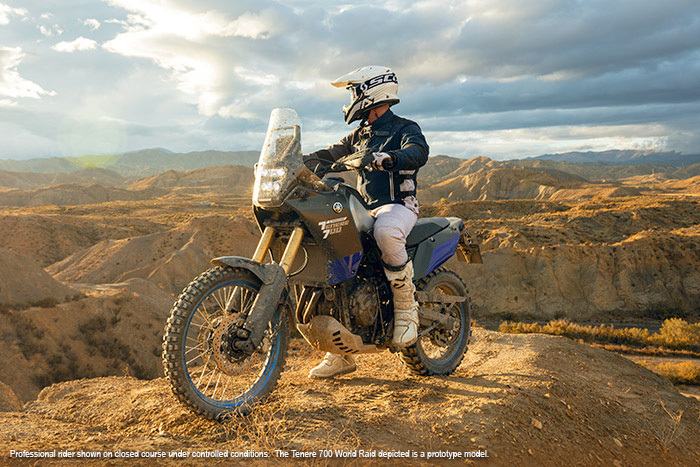 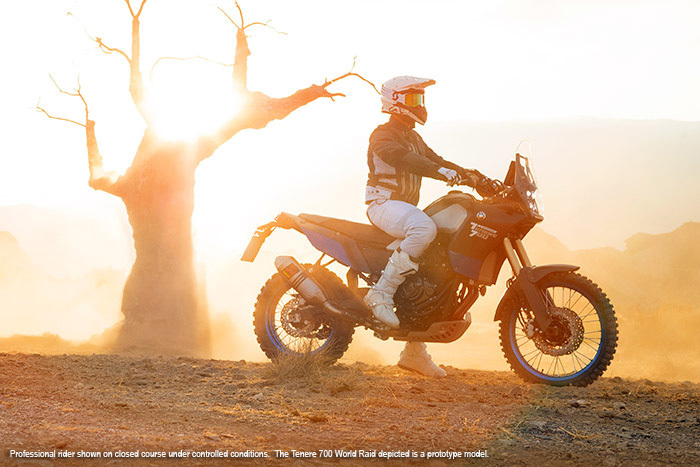 During this special World Raid, a team of Yamaha riders will take on a number of tough adventure stages across the globe, enabling Yamaha fans in South America, Australia, Africa and Europe to see, feel and hear the future of adventure riding.